The Pyrenees-Orientales department has a landscape as diverse as its history. Bordering Northern Catalonia, its geography sweeps from the high peaks of the Pyrenees, through sunswept foothills streaming with vines, soaring over medieval walled towns, cresting green valleys, all the way to the glittering sandy beaches of the Mediterranean coastline. Catalan is spoken widely throughout the region and bullfighting is a popular pastime, while the culinary culture is remarkably reminiscent of Northern Spain. The heartland of the Cathar revolt and an area long wrestled-over by the kings of France and Spain, its history is fascinating. An utterly spellbinding region ideal for hiking, lazing at the beach or absorbing the regions' rich history and culture. Our collection of the best places to stay in Pyrenees-Orientales have been hand-picked to make the most of all this region has to offer. Prior to the Treaty of the Pyrenees in 1659, the vast majority of the department made up the former Principality of Catalonia. This unusual heritage is still felt keenly within the region: many of the locals speak Catalan, cultural activities like bullfighting and Sardana dancing are popular and the food is distinctly Catalan - full of chorizo, paella and calcots. This mixed cultural ancestry alludes to the fact that the region frequently changed hands during the medieval era: the Kings of Malta, for example, occupied a great deal of the coastal towns like Collioure during their short-lived thallasocracy. Most intriguingly of all is that the region was a hotbed for Catharism - a Gnostic revival movement in the 13th and 14th centuries that was remarkably egalitarian and liberal by medieval standards - and in places like the Valley of Tech, you can see the ruined Cathar castles straddling the high peaks. An area that frequently changed hands in the war-games of the powerful, it unsurprisingly boasts some of the finest examples of medieval architecture in all of Europe. The walled town of Villefrance-de-Conflet, for example, was fortified by the famous engineer Vauban; the Chateau Royal in Collioure, staring stonily out to sea, is a marvellous sight to behold and the 16th century border castle, Fort de Salses, was incredibly innovative, architecturally-speaking, for that period. The real charm of Pyrenees-Orientales lies in its landscape. Sunny and clement throughout the year, it makes for the perfect place to go hiking, whether you're walking through the gently rolling hills of Cerdanya, the foothills of the Pyrenees, the long green valleys of the Cathars or the sky-scraping peaks of the Pyrenees. The countryside is scattered with a mix of picturesque villages like Castelnou and Evol and menacing medieval walled towns like Villefrance-de-Conflet. The Vermillion Coast is breathtakingly beautiful and has inspired artists for hundreds of years and the beaches along the Mediterranean are perfect for sunbathing. Perpignan, the capital city, with its wide boulevards and winding streets, is a fun and vibrant city - full of chic art galleries, cute cafes and some amazing gourmet restaurants. Sightseeing: for a day-trip, get yourself to Villefrance-de-Conflet, a walled town fortified by the famous engineer Vauban. It is there that you can catch the Little Yellow Train, that trundles its way through the mountains past pretty villages, historic fortresses and the famous Hermitage de St. Antoine Galamus beneath the clifftops. The border castle Fort de Salses is not to be missed: a wonderously innovative style, alluding to the combination of the medieval and modern fortress. Museums: travel to Ceret, the birthplace of Cubism. The Musee d'Art Moderne boasts some iconic paintings by the likes of Picasso, Matisse and Chugal, and the village teems with chic cafes and restaurants. Perpignan has some excellent art galleries and museums like the Natural History Museum and the Centre for Roman Sculpture, both of which are worth checking out. Hiking: the region is perfect for hiking. Sunny throughout the year, you can climb the Pyrenees or walk along the sweet hills of Cerdanya. Walking through the Valley of Tech is a truly magnifecant experience, though rather eerie, for you see straddling the rocky peaks medieval fortifications left to ruin after the destruction of the Cathar revolt. The views from on high are simply incredible and you get some gorgeous panoramic views of the land all around you. With so much on offer it is not surprising that the best places to stay in Pyrenees-Orientales often get booked up well in advance, so to ensure you get a your room of choice we recommend you book well in advance. Le Relais des Chartreuses: set in a pretty 17th century farmhouse in the hills, offering 14 chic rooms and suites, an outdoor pool and a lush garden. Cosy and sweet, ideal for a romantic getaway or a writer's retreat. 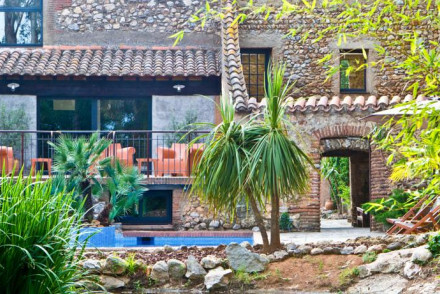 Casa9 Hotel: a very cool boutique hotel. With 9 stylish rooms set in a building that dates back to the 11th century, it offers a pool and amazing views of the countryside. 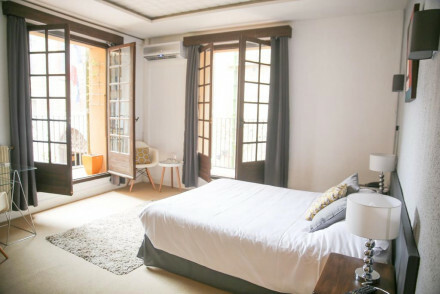 Hotel de la Loge: a charming little hotel in the historic centre of Perpignan, offering 22 light contemporary and very comfy rooms that are ideal after a long day sightseeing. Perfectly placed to access all the sites; real value-for-money! 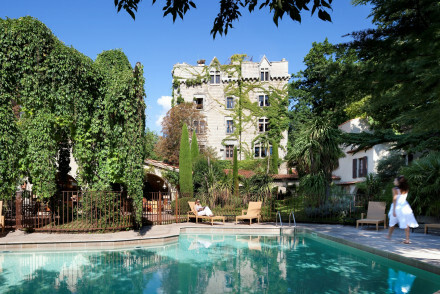 Chateau de Riell: a gorgeous chateau overlooking Mount Canigou, offering 19 rustic-chic rooms - think exposed stone walls and parquet flooring - as well as a spoiling spa, hot spring bath and an outdoor pool, all set within a beautiful lush garden. A spellbinding stay; true luxury. 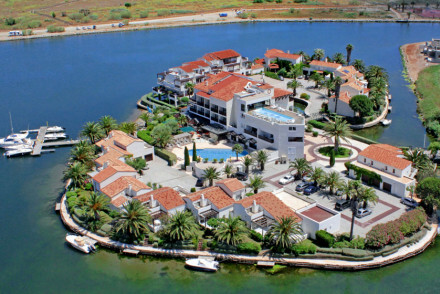 Hotel lle de la Lagune: perched on a private island on the Mediterranean, it makes for the perfect little hideaway. There are 2 spacious rooms and suites, a tropical garden and a lovely spa. Cool and airy, there is an award-winning restaurant and bar. 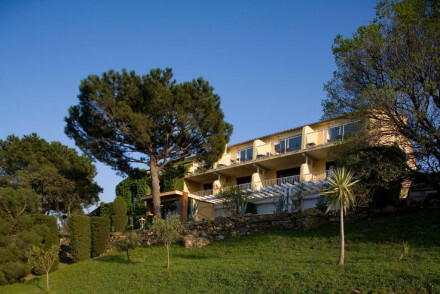 Le Mas Trilles: a lovely B&B in Ceret - the birthplace of Cubism - offers 10 beautiful and spacious rooms, an outdoor pool, gardens and gorgeous views of the mountains and coast. Great for large families and couples alike. Hotel Les Templiers: bursting with art and life, this cute hotel in the seaside town of Collioure has an effortlessly cool bar and restaurant, and is really like an art gallery. Offering 20 rooms, it is only minutes away from the beach. For a self-catered option, our partner Booking.com has a wide range of villas and apartments in the area. Fly to Perpignan, where you can get the TGV or a shuttle bus to your destination. If you want to hire a car we recommend you contact our partner Rentalcars. It is sunny throughout the year so any time is a good time to visit. During the summer, the temperature averages at around 23 degrees, and the days are long and dry. Expand your search to include all our properties in neighbouring Aude. Browse through our options of the best places to stay in France. You'll feel at home in this amiable small hotel, right opposite Perpignan's historic town hall and within easy walking distance of all the sights. Some rooms have balconies – perfect for a post-sightseeing sundowner. Local exploring - A well priced gem of a property located in the heart of the historic centre. Local markets - Wander through the narrow alleys of the Arab and Romany quarter packed full of trinkets and food stalls. 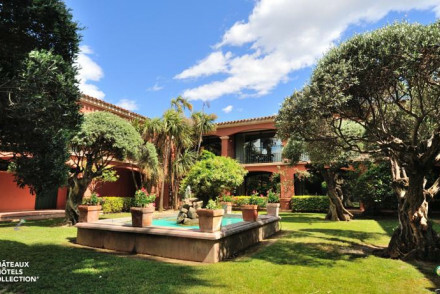 Sights nearby - Visit the impressive Palais des Rois de Majorque dating back to 1276. Located in the authentic, quiet catalan coastal town of Argeles-sur-Mer, Le Cottage boasts some beautiful sandy beaches only 5 minutes away. Rooms and suites with plenty of options for families. Excellent sps for relaxing and large outdoor pool. A charming base for a family holiday. An excellent hotel right in the heart of Argelès-sur-Mer. The comfortable rooms are simply decorated and fixed with antique furniture. With the bustling streets of the town on the doorstep, it's perfect for exploring the seaside town. A great low-cost option for Argelès-sur-Mer. Local exploring - Right in the beating heart of historic Argelès-sur-Mer, facing the town square where a market is held twice a week. Local markets - Browse the bi-weekly market just outside the hotel's front door. Sights nearby - Take a day trip to Perpignan, less than ten miles away. 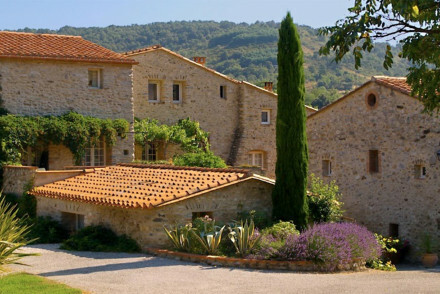 Beautiful 17th century French farmhouse renovation set in the hills above Le Boulou. Fantastic food, contemporary chic bedrooms and suites, swimming pool and luscious garden. Local exploring in style. Spa - Treatments available in the "Care House" in the gardens. A modern hotel on the outskirts of Perpignan. Contemporary rooms and suites, excellent spa and gym activities, and a gourmet restaurant. A great choice for a comfortable summer holiday. 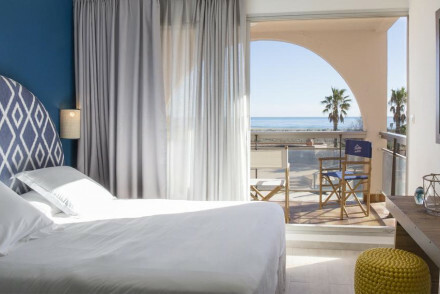 Contemporary hotel close to the beach. Chic rooms have seaside touches, white wooden panelled walls and private balconies. Outdoor pool, large garden and spa facilities. Excellent restaurant and wine cellar with tastings not to be missed. Comfortable and peaceful. Lovely French farmhouse B&B in a secluded location. A charming sandstone building with large creamy bedrooms, terraces, gardens and a swimming pool. Within striking distance of surrounding mountains and the coast. Ideal for the great outdoors, families, or groups. 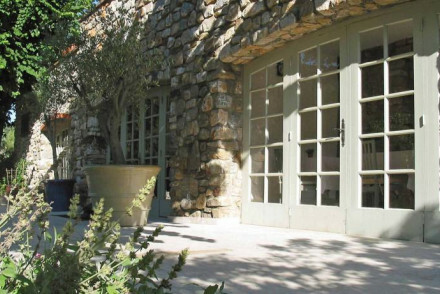 Hotel Les Templiers is like walking into a eclectic art collectors private gallery. The art dominated bar and restaurant are bursting with character and style. Upstairs, the individually furnished rooms are elegant and comfortable. A seaside charmer. 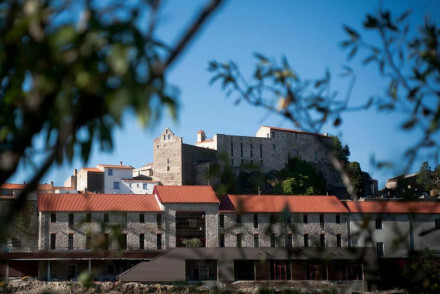 Value chic - A super cool hotel filled with original artworks and spectacular views of the castle and the harbour- at a reasonable price. Families - It's perfect for a family holiday, just two minutes from the beach and with excellent multi-person rooms. Sailing - The perfect pit stop for a sailing trip around the Catalan coastline. 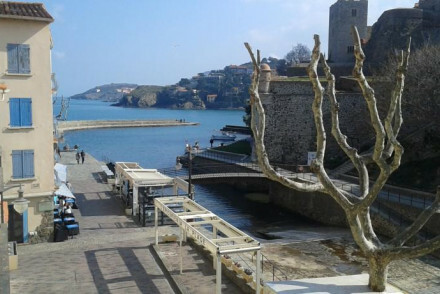 Sights nearby - Explore the characterful Catalan fishing village of Collioure. A romantic hotel surrounded by vineyards. Contemporary rooms with views, big bathrooms and artistic touches. A gourmet restaurant, sleek bar, sunny terrace and outdoor pool with sun deck area. Surrounded by hillsides and stunning views. A great choice for a romantic break. 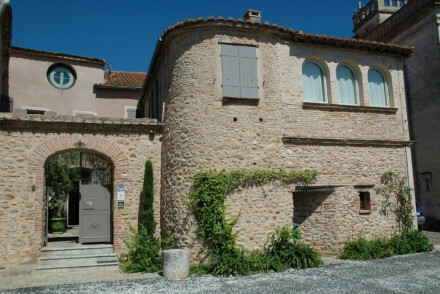 An elegant B&B and former mansion of local bishops in rural Languedoc. Rooms are unique and ornate, balancing homespun, rustic charm with modern sensibilities. The house is filled with antique furniture and artworks. A great location for exploring the nearby Cathar mountaintop castles. Beach Life - Only 10km from Collioure, which is famous for its pristine, white-sand beaches. Sights nearby - There are many Cathar castles in the nearby area, many of which you can explore by trekking deep into the mountains. 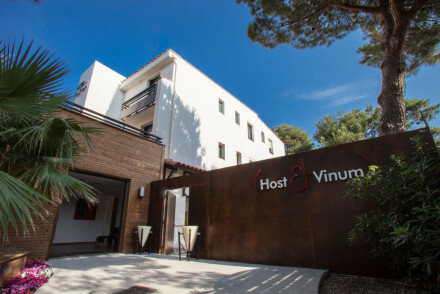 Charming hotel in Argeles with modern designer rooms decorated in a minimalist style, adorned with abstract artworks and featuring parquet flooring. Boasting a glorious outdoor pool and the wonderful panoramic views of the sea are unbeatable. Spa breaks - The hotel has a steam room, indoor and outdoor jacuzzis, an outdoor pool and a range of massage and beauty treatments. Beach Life - A 5 minute walk from the beach, this hotel is ideal for those wanting to bask in the sun with a martini in hand. Sailing - You can hire boats nearby. A sumptuous boutique hotel burrowed into the heart of the Languedoc-Roussillon countryside. The stylish and comfortable rooms are set in stunning stone buildings dating back to the 11th century. Luxuriate by the heavenly pool or take a stroll through the surrounding countryside. A Catalan charmer. Country Escape - Nestled into the beautiful Languedoc-Roussillon countryside, it's perfect for a catalan country getaway. Sights nearby - Explore the Canigou ('holy mountain') with the stunning Abbey of Saint Michel de Cuxa and magnificent Saint Martin du Canigou. Great walks - Explore the beautiful walking trails and paths through the surrounding Languedoc-Roussillon countryside. With its secluded city setting, La Villa Duflot is something of an oasis. Rooms are decorated in an art deco style and feature cool blue and green hues with terracotta tiles. Borrow a hotel bike for the day or simple relax by the inviting pool. Dine al fresco on delicious locally sourced dishes. Romantic Break - Stylish art deco rooms hark back to a bygone era - a classic romantic stay for two. Local markets - Browse the markets of Perpignan and pick up some of the beautiful local produce. 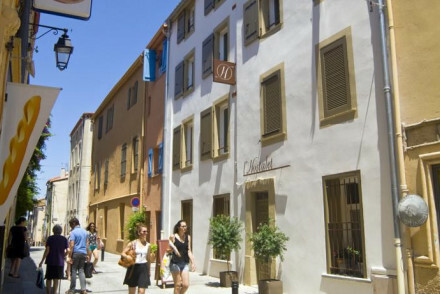 Sights nearby - Explore Perpignan's historic old town on foot, a great days activity. 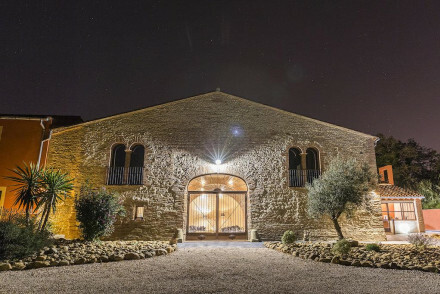 Owned by a renowned local wine maker, this rural mansion on the outskirts of Perpignan has been turned into a stylish haven that successfully blends tradition with striking modern interiors. Country Escape - A chic rural abode surrounded by vineyards. An oasis of calm. Luxury private island hotel right on the Mediterranean. Spacious rooms and suites, a choice of restaurants, private pool, thalasso spa and luscious tropical gardens. Accommodation is contemporary in style: dark wood floors contrast with white and pastel furnishings to create cool airy spaces. Spa - Thalasso Spa with nine treatment rooms and wonderful views over the lagoon. A chic bohemian hotel set directly on a beautiful stretch of beach. Light and spacious rooms have a nautical feel and breathtaking sea views. Boasting an extensive spa, two outdoor pools and a restaurant offering sumptuous local cuisine. The perfect place to come and simply unwind. Chateau overlooking Mount Canigou. Room interiors are rustic chic with parquet floors, exposed brick work and large bathrooms. A baroque folly with outdoor pool, garden, spa, sauna and hot spring bath. Great Pyrenean menu in ambient dining room. Superb choice for spa weekend.